It seems as if everywhere you turn now, you keep hearing about Omega 3 Fish oils and how good they are for you. 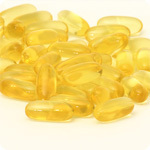 Omega 3 Fish oils should be an important part of any supplement regimen. There are many studies to support the multiple benefits of supplementing with daily Omega 3 Fish oils. The most common benefit of ingesting substantial amounts of Omega 3 Fish oils is to the cardiovascular system. Studies suggest that fish oil promotes healthy lipid and triglyceride metabolism, blood flow, vascular dilation and tone, and platelet function. Fish oil has been shown to reduce stress on the cardiovascular system, and help regulate homocysteine metabolism, all of which can reduce the risk of developing heart disease and atherosclerosis, as well as improving heart function for those who already have some form of heart disease. Fish oils reduce the “stickiness” of platelets, reducing the risk of clot formation in blood vessels, and help to regulate and maintain the balance of “good” and “bad” cholesterol. This can reduce risk of stroke, blood clots, and heart attacks. Another excellent benefit of Omega 3 Fish oils is improved joint health and function, as well as reduced inflammation of the skin from sun damage and improved hydration of the skin. Omega 3 Fish oils act to maintain healthy prostaglandin, cytokine, and leukotriene production, which results in improved joint motility and joint comfort. 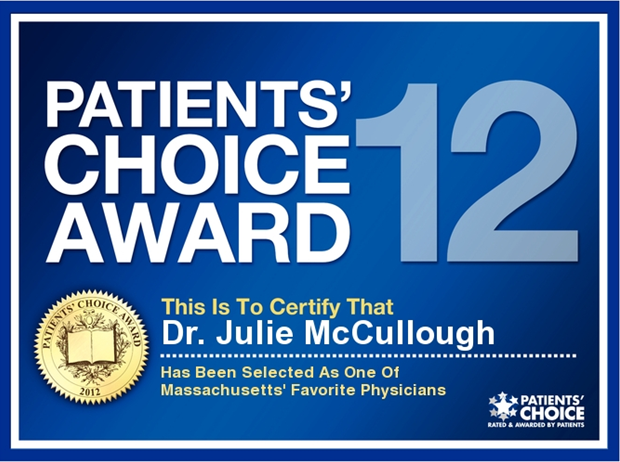 They also help support connective tissue and cartilage integrity. Multiple double blind studies have shown that omega 3 fatty acids in fish oil promote joint motility and joint comfort. Since Omega 3 fish oils support vascular health, they also improves oxygenation of the skin and skin structures. They reduce the immune response to insults at the skin level from free radicals generated by sun exposure, which protects the keratinocytes and fibroblasts in the dermis and epidermis. This results in decreased wrinkles and sun damage, resulting in improved elasticity, hydration and smoother looking skin. The anti-inflammatory properties of Omega 3 fish oils can benefit people with autoimmune diseases, and can also promote healthy cell activity in the colon and improve gastrointestinal comfort in people with stomach or intestinal pain or disease. Asthmatics may also have improved respiratory function because the Omega 3 fish oils can moderate leukotriene production in the cells of the lungs. Some studies have even supported the notion that because Omega 3 fish oils help regulate transport of lipids and glucose in cells, that perhaps inadequate amounts of fish oil may actually lead to weight gain. Omega 3 fish oils also are also essential to cognitive function. They are essential components of the neuronal cell membrane. By supporting vascular health, fish oils promote oxygenation and nutrient delivery to the brain. Studies have shown that adequate omega 3 levels are associated with emotional well being. Both epidemiological and double blind placebo controlled trials have indicated fish oil supports positive mood. Fish oil also promotes healthy mental function and maturation of the nervous system in adults, children and to the fetus in pregnant women. Omega 3 fatty acids are also essential in development of retinal cells, promoting healthy visual function and acuity as well. One study suggested that infants born to mothers with higher omega 3 fish oil levels had improved cognitive function, visual acuity, and enhanced night vision. Newer research has shown that Omega 3 fish oils, along with other essential fatty acids can be an important supplement in the prevention of breast cancer. Studies have shown that women with breast cancer have a higher likelihood of metabolizing estrogen to a more carcinogenic form within their own bodies. The breakdown products of normal estrogen metabolism result in three types of estrogen. The 2-hydroxyestrone (which has been found to be protective against breast cancer,) the 16 alpha-hydroxyestrone, and the 4-hydroxyestrone (both of these are carcinogenic). Both the 16 and 4 have been found in much higher levels in women that have breast cancer or any of the risk factors for breast cancer which can include a family history, obesity, lack of exercise, and a poor diet or exposure to environmental toxins. Supplementing with Omega 3 fish oils can induce the metabolic breakdown of estrogen to favor the 2-hydroxyestrone metabolite, thus reducing the risk of buildup of carcinogenic forms. So with all the benefits of Omega 3 fish oils, why not just increase your consumption of fish? Well, unfortunately, due to the environmental contaminants which include mercury, lead, PCB’s, arsenic, cadmium, and other heavy metals, most of the fish we eat that are high in Omega 3’s are also high in these contaminants. Pregnant women and children are advised to limit consumption of these fish to one time per week. It is important to make sure that any fish oil supplements purchased have a notation of being mercury free and filtered. Not only have our fish supplies become contaminated with harmful substances, but also changes in how our beef, chickens, and pigs are fed have resulted in significant decrease in the amount of Omega 3’s in the American diet as well. Clearly, Omega 3 fish oils have many benefits. Gone are the days when obtaining all of our nutrients from diet alone is safe. Americans are recognizing the importance of preventative health nowadays, and the most important part of getting better from any illness is not getting sick in the first place! Healthy eating, adequate sleep and exercise, stress reduction, and proper supplementation can help people improve not only quality of life but longevity as well.